Sean Reed was born on the Isle of Wight and only started to play darts when he was 28 and had moved to Japan. Between 1997 - 1999 and 2001- 2003 he was the Japanese number 1 and won several times the Masters Champion of Japan. For the last 15 years Reed repeatedly lived in Australia and plays an important part in the dart scene of New South Wales especially after he won the state singles in 2008. 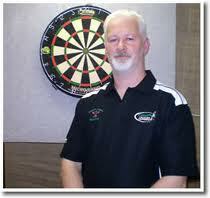 As winner of the Australian Grand Prix of the DPA he qualified for the PDC World Championship 2012.